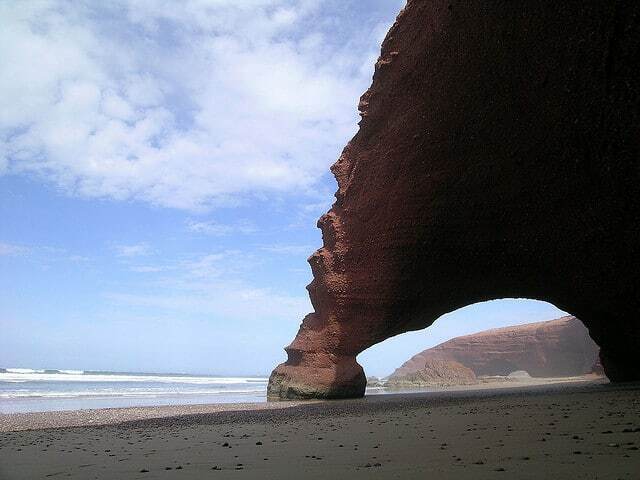 In vicinity of the town of Sidi Ifni (or Ifni), southwest of Morocco and the Atlantic, there is a stripped beach on a site that is not yet overrun by tourists and yet presents a spectacular sedimentary formations on the beach and this is why it may soon emerge in fame. 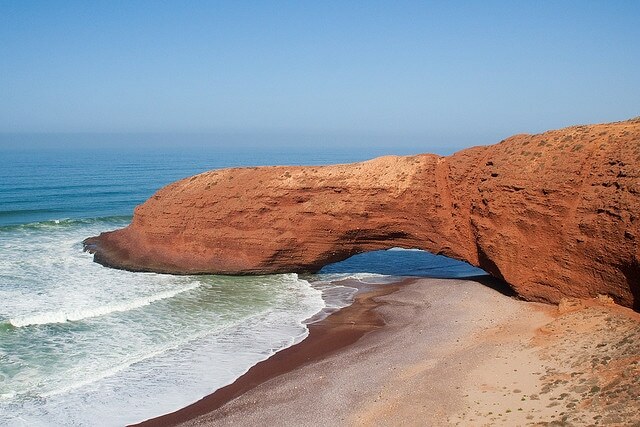 More precisely, the beach is among Mirleft Legzira and Sidi Ifni and possesses stunning red rock arches, breathtaking heights that allow feeling insignificant to walk under them. 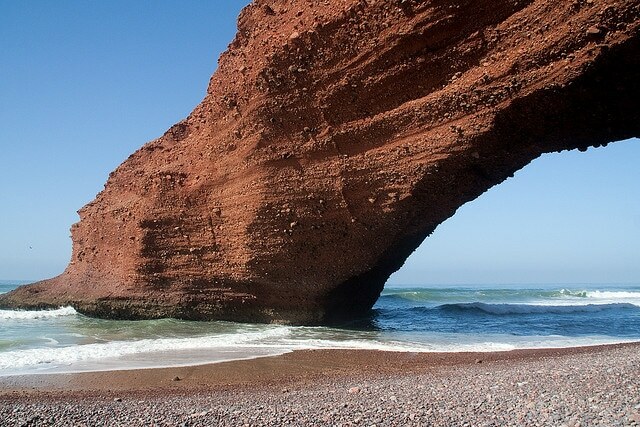 Surely, after seeing the pictures it is needless to say that they are majestic formations that invite contemplation. 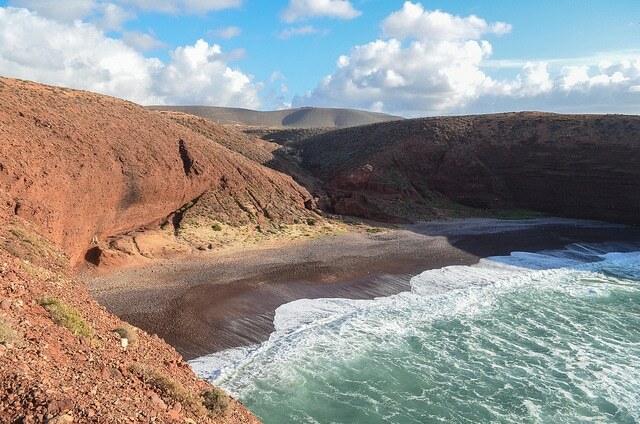 It is recommended not to miss Legzira beachcombing at sunset, and always waiting for low tide. In either appointed people can find accommodation. 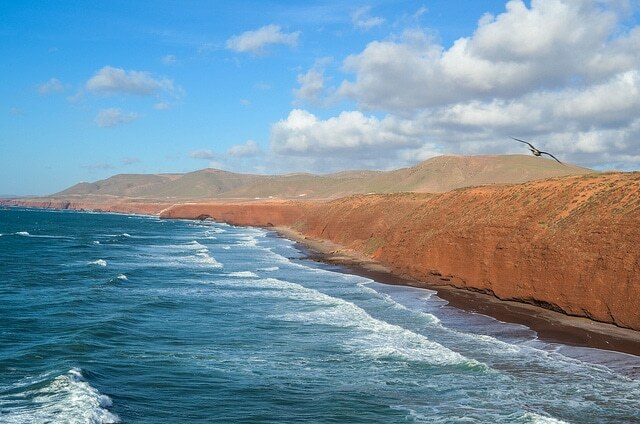 You can still say that it is a quiet corner of Morocco eyes away from mass tourism.